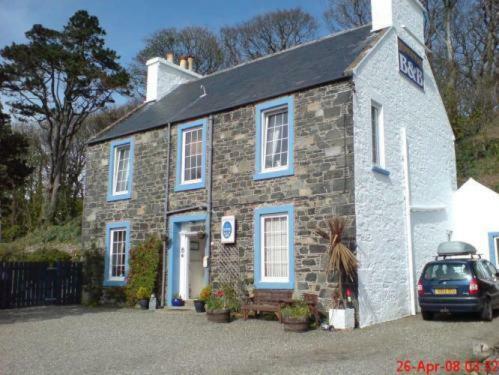 On the shores of Loch Ryan, The Merchants House is situated in the picturesque village of Cairnryan. With free parking and free Wi-Fi, there is also a traditional Scottish restaurant. The Homestead Guest House is a delightful, family-run B&B nestled under a beautiful hill that forms a backdrop to Cairnryan and surrounds Loch Ryan. Homestead prides itself on providing a warm and friendly B&B for travellers and business guests. Castle of St John, Charlotte Street, Stranraer, DG9 7EJ. Tel: 01776 705544. A medieval tower house built around 1500 by the Adairs of Kilhilt, one of the most powerful landowners in Wigtownshire. Over the centuries the Castle has been used as a home, a local court, a military garrison and a prison. There is an activity room for families and children. Location: In the centre of Stranraer and within walking distance of the ferry terminal. Stranraer Ferry Port. Stranraer ferry port terminal is operated by Stena Line, and offers excellent facilities and services to both passenger and freight customers. Ferries depart from the east pier of the terminal while the fast Stena HSS Stranraer to Belfast Catamarans leave from the western pier. There are 6 ferry crossings a day to Belfast, with a sailing duration from 2 1/2 hours. Location: On the outskirts of Stranraer. The Cairnryan port is located on the northern edge of Loch Ryan. Following a major multi-million pound development by P & O Irish Sea Ferries, Cairnryan ferry port now offers excellent facilities and services to both passenger ferry and freight customers. There are 4 ferry crossing a day from Cairnryan to Larne, with a sailing duration of 1 1/4 hours. In the centre of Cairnryan. The Southern Upland Way is Scotland's longest walk at 212 miles. It stretches west to east from Portpatrick, over the Mull of Galloway, to the North Sea cliffs at Cocksburnspath. It passes through some of Scotland's most beautiful and varied scenery. www.southernuplandway.com. The Southern Upland Way passes 1 mile south of Stranraer. Castle Kennedy Gardens, Stair Estates, Rephad, Stranraer, Dumfries & Galloway DG9 8BX. Tel: 01776 702024. Castle Kennedy Gardens are beautifully located between two natural lochs and extend to 75 acres. They are world famous for rhododendrons, azaleas and embothriums, and the landscaped gardens of terraces and avenues are laid out around a circular lily pond. About 8 miles south of Cairnryan.